If a tooth becomes infected and painful, a root canal is the best way to treat your smile. Root canals are the way that your dentist removes infected material from your smile and then seals it from further infections in the future. Thankfully, root canals do not fail often, but when they do fail, you’ll need professional assistance to restore your smile. Sometimes, there are cases where harmful bacteria are left inside the tooth. This will continue to grow and infect the tooth again. If bacteria do continue to cause issues, extracting the tooth might be the only option to stop the pain. What can I do if a root canal fails? If you are feeling any of the symptoms mentioned above, please contact your local dentist if you suspect your root canal in Yuba City has failed. Root canals normally fail if the tooth has been treated several times. Caps or crowns on the tooth often need to be replaced every 7-10 years, but when they aren’t the tooth can become infected. Contact Your Local Dentist Right Away! How can your dentist help you if you suspect that your root canal procedure is failing? In any case that you still feel discomfort, even after getting a root canal, your dentist should be the first one you contact. This is because your dentist will be able to view your mouth and evaluate the affected area to see if it’s healing properly. If not, they will be able to determine the cause for the discomfort and offer viable solutions. 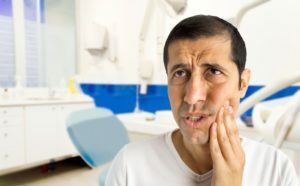 If push comes to shove and you’re looking at extracting the affected tooth, you can still be confident that you can explore restorative options so that you’ll never have an incomplete smile for too long. Here at Fit Dental, we work to keep your natural smile for as long as possible. Sometimes, that’s just not realistic depending on your current oral health—but that’s okay! We’re also here to help you restore your mouth form dental problems and avoid them in the future. Contact us today to get help relieving your dental discomfort.